Charles Alverson's writing career has spanned over five decades. Originally from Los Angeles, Alverson served as an Army Paratrooper before receiving his M.A. in Journalism from Columbia University. He has written for numerous publications, including The Wall Street Journal, Rolling Stone, and HELP! Magazine. 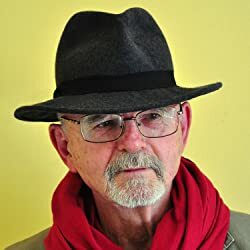 Alverson has written ten novels, two children's books, and helped co-write the screenplays for Terry Gilliam's cult films Jabberwocky and Brazil. Alverson currently lives in Serbia, where he has resided with his wife since 1994. Please enter your email address and click the Follow button to follow Charles Alverson!